When it comes to making date nights look effortless, no couple does it more ***flawlessly than Beyoncé and JAY-Z when they cozy up courtside at an NBA game. The Carters sat right in front of the action on Saturday night to watch the Golden State Warriors take on the New Orleans Pelicans. A week after Beyoncé shut down Coachella two weekends in a row–complete with an onstage cameo from her hubby–the proud parents of three cheered on Steph Curry and squad in the Western Conference Semifinals. 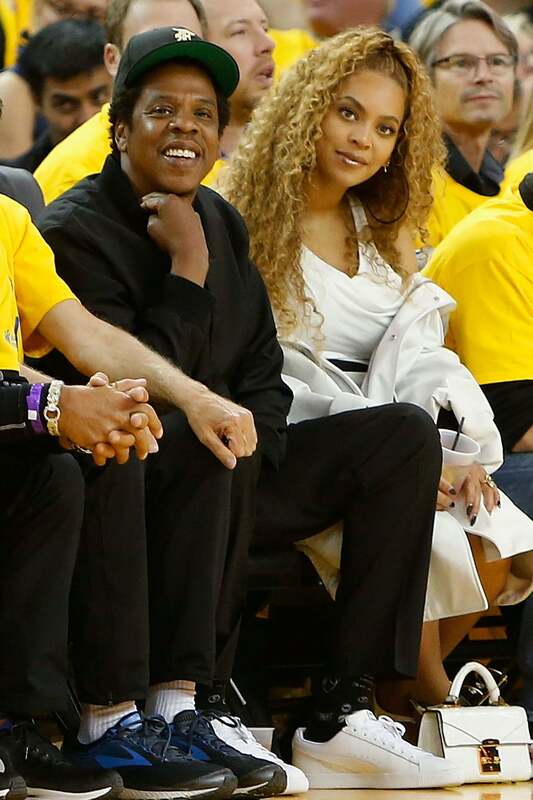 Not only did they look amazing sitting courtside, Yoncé shared a candid photo of she and Hov prior to the game and we’re quite obsessed. It’s safe to say that we love a Mr. and Mrs. Carter courtside moment. Don’t you?